Pearlsong Press is reprinting & publishing in ebook the award-winning Josephine Fuller mystery series. 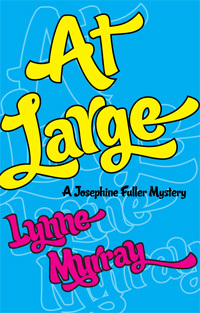 At Large was originally published in paperback by St Martin's Press. It's a king-sized case for a queen-sized sleuth. In the third Josephine Fuller mystery, Jo is working undercover at a women's skills center when she spots an old acquaintance. Jo last saw Teddy in Kathmandu when her photographer husband ran off with Teddy's mountain-climbing wife, leaving the spouses to commiserate. Now Teddy has a new problem—his latest girlfriend is missing. Jo agrees to track her down, and the trail leads straight to his estranged wife, murdered with a climbing axe. Jo suddenly finds herself a major suspect in the death of the woman who broke up her marriage. Add to that Jo's already muddled love life, an apartment filled with haunting memories, and suspects ranging from the victim's lesbian vegetarian sister to her fading film star mother, her politician stepfather and her mooching father, and Jo's got her hands full. "Investigator Josephine Fuller is a large woman, but no challenge is too big for her." 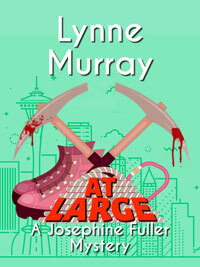 "At Large is filled with hilarious dialogue, comfortable old friends and a great love triangle. Grab a cup of tea, sit in front of the fireplace, and follow Jo as she sets out to solve this latest puzzle." "Josephine Fuller charms the reader with her wry, self-deprecating humor and her passionate defense of the underdog." "This one is a winner, the kind of read you don't want to put down unless the house is on fire." "A large dose of fun carefully entwined in a rip-snorting mystery."